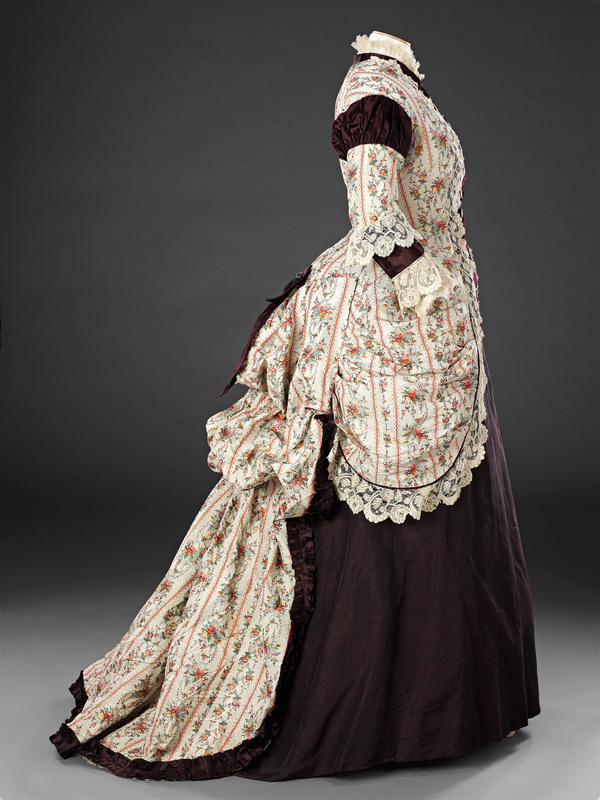 This dress, probably a formal afternoon or visiting gown, came into the John Bright Collection missing its skirt. 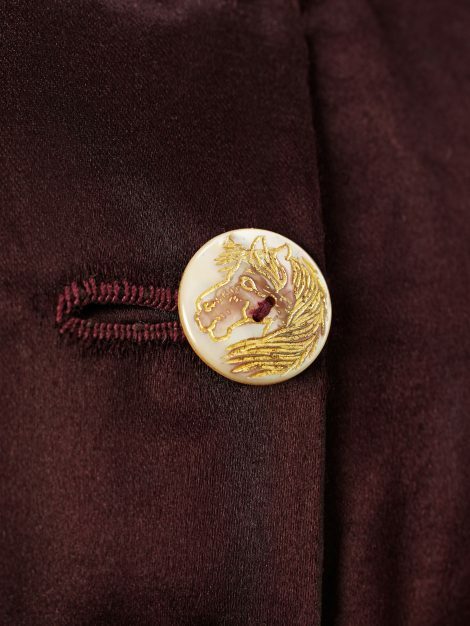 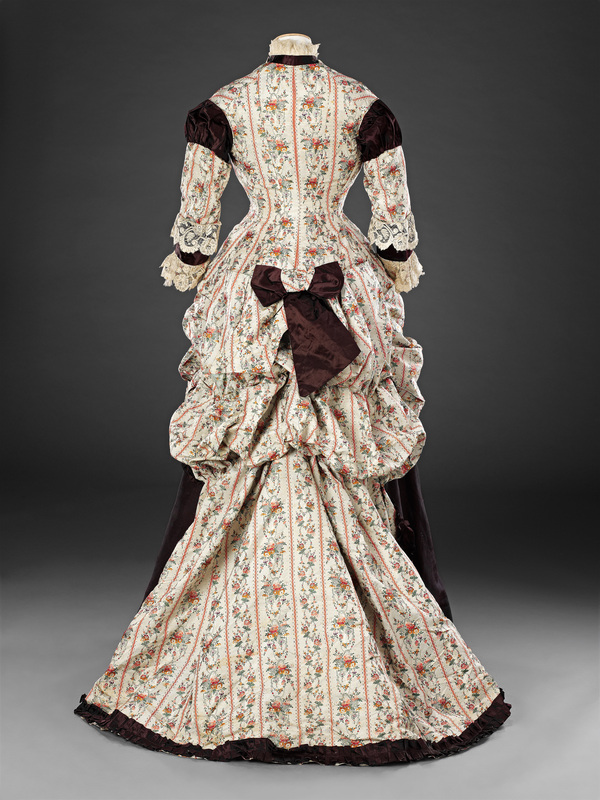 The decision was made to photograph it for the website worn with an existing reproduction skirt that matched the colour or the plain satin trimming almost exactly. 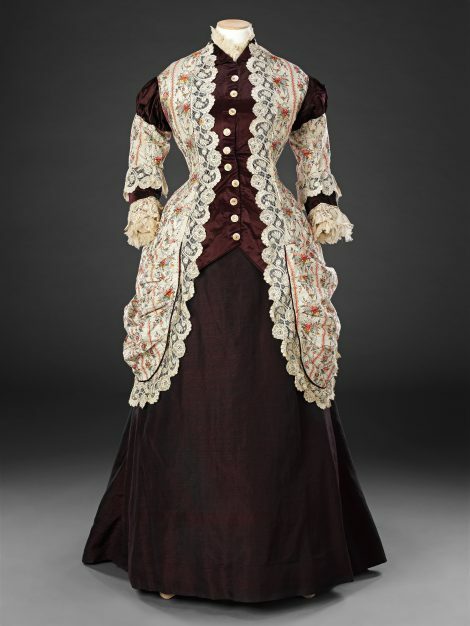 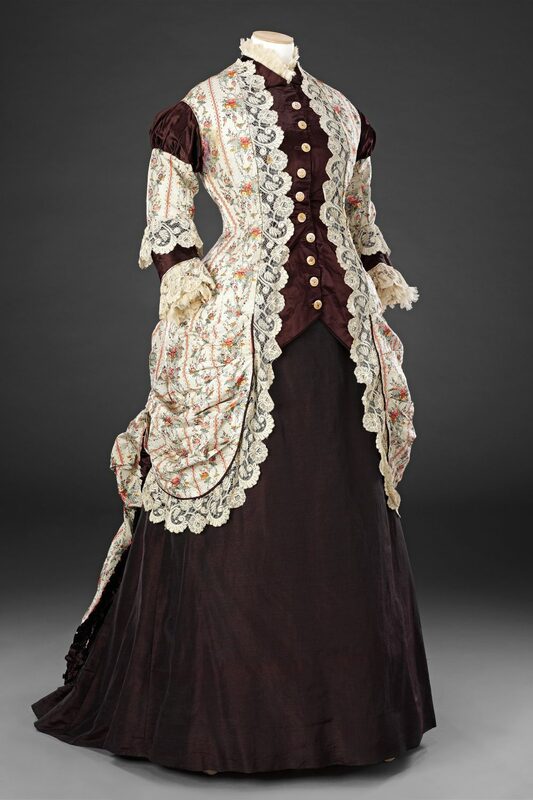 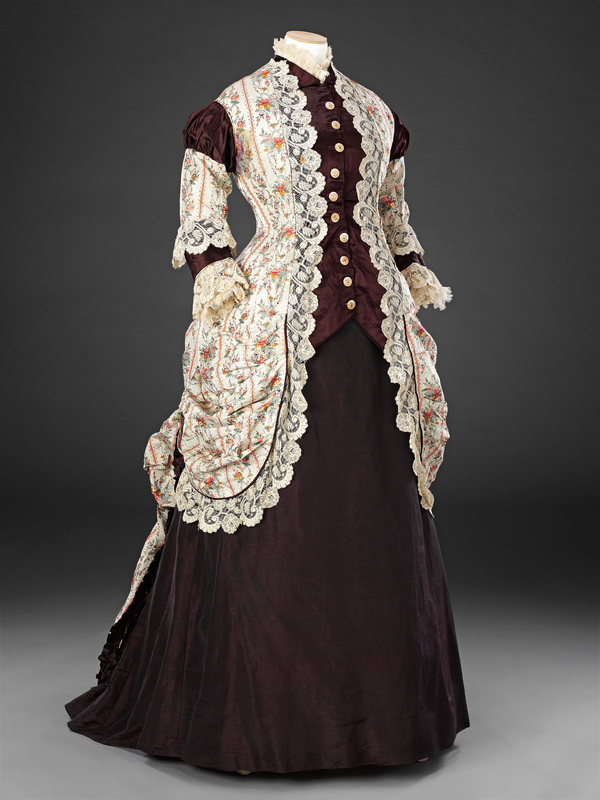 This has produced a strong contrast with the pale patterned silk that was characteristic of the late 1870s and shows the overdress off to advantage, though it is possible that the original skirt was also of patterned silk. Many dresses of the earlier 1870s were influenced by the styles of the 1770s and 1780s, their looped and puffed up skirts simulating the late 18th Century polonaise. 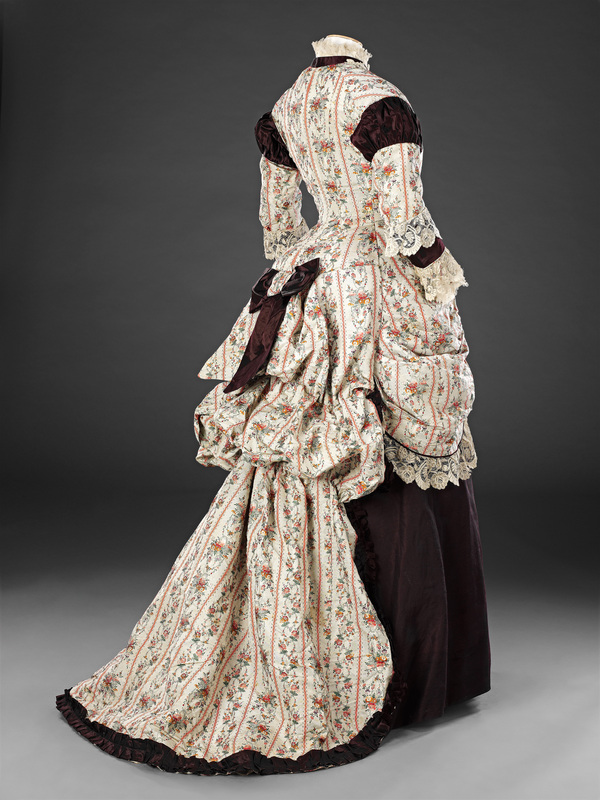 The popular ‘Dolly Varden Polonaise’ was named after a character in Charles Dickens’ novel ‘Barnaby Rudge’ that was set in 1780. Although its silk, woven with vertical bands of flowers, is similar in concept to brocades of the 1770s the dress owes more in style to those of the late 17th Century, their trained skirts looped up and fastened at the centre back to reveal a contrasting petticoat or underskirt.